Loctite EA 3430 is a five-minute, 2-component epoxy adhesive that ensures an optically clear bond line. The product develops high strength on a wide range of substrates and is water resistant. This adhesive is a general purpose bonder and ideal for many DIY applications. Due to the very clear bond line, it is also the product of choice for bonding glass, decorative panels and display. The medium viscosity and fast fixture time at room temperature ensure easy application. 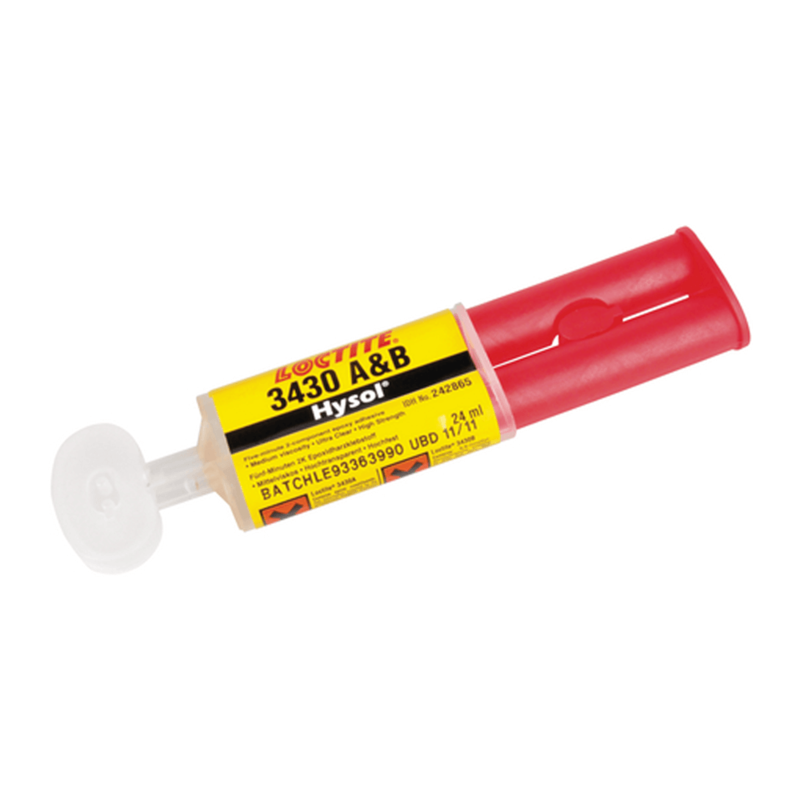 Loctite EA 3430 is a two component, clear epoxy adhesive which cures rapidly at room temperature after mixing. It is a general purpose adhesive which develops high strength on a wide range of substrates. The gap filling properties make this adhesive system suitable for rough and poorly fitting surfaces made from metal, ceramic, rigid plastics or wood.